Very few people know this, but your knife block is one of the dirtiest elements in your kitchen, harboring all forms of bacteria and mold. Cleaning your knife block is very important to maintain the hygiene of your kitchen and take care of your family’s health. If you are looking for simple ways on how to clean a knife block, here are some of the best and easiest ways you can do at home. 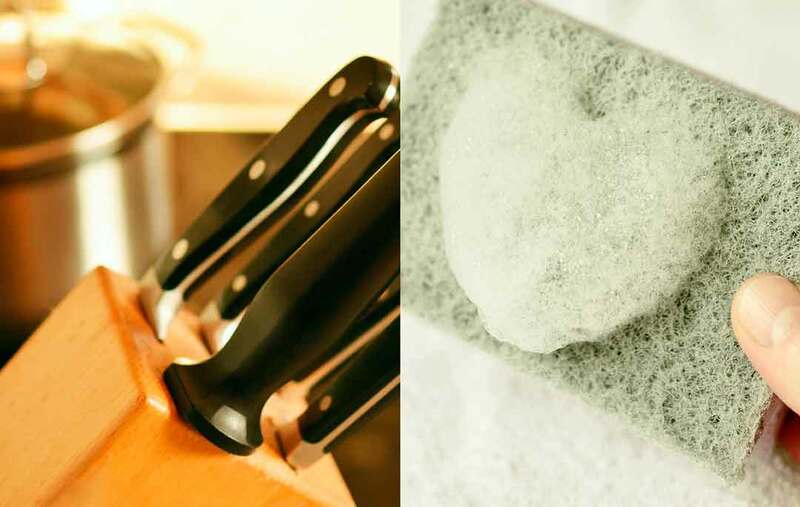 1 Why do you need to clean a knife block? 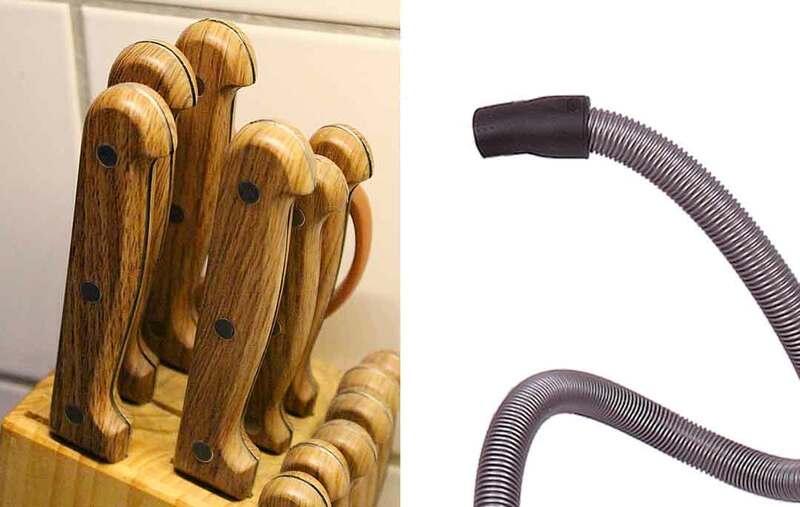 Why do you need to clean a knife block? You don’t use your knife block for anything other than storage of your knives, so why would you need to clean it? In reality, your knife block, particularly in the places between the slots, can carry a lot of germs and bacteria. As you use your knives in the kitchen for preparing food, these germs get transferred to your meal and can be harmful to you and your loved ones. There was a study showing that a knife block contains much more bacteria than a bathroom floor. Thus, it is essential to clean your knife block regularly. 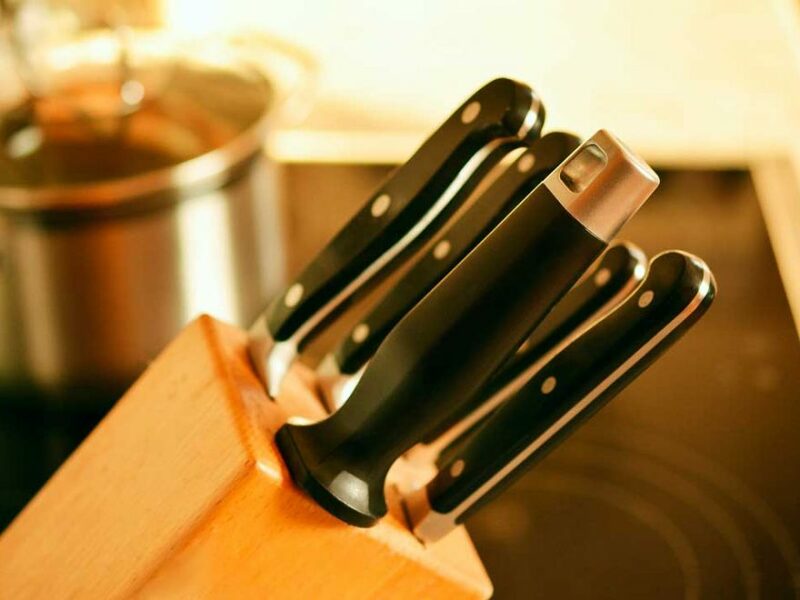 The first step you will need to follow is to remove all the knives and keep them aside safely. Turn over the knife block and shake it to remove any crumbs or food debris that might have fallen in. It will also remove any dust particles which might have settled into your knife block. Take the long, thin crevice tool of your vacuum cleaner and vacuum out any crumbs and debris from the knife block. You can also use the blower to forcefully blow out debris and dust from in between the slits of the knife block. Take a thin pipe cleaning tool and stick it down the knife block slots. Use circular motions to grab any residue or grime and remove it. Remember to keep the pipe tool clean before using it again so that you can effectively remove all the grime or mold, instead of spreading it around. Run your knife block under running water to flush out as much dirt, dust, and crumbs that you can. Create a mixture of warm water along with some dishwashing soap and mix it well. Take a clean sponge and dip it into this mixture. Scrub the outside and inside of the knife block, as well as the underside of it. Squeeze out some of the soapy water into the slits of the knife block. Now, take a long, thin brush or a pipe cleaner and start to clean in between the slits and the corners of the knife block. Rinse off the knife block under running water to flush out the soapy water residue from inside the slots. Use your fingers to scrub the knife block and make sure all the soap is out. Let it dry thoroughly before using again. Take one gallon of water and mix just one tablespoon of bleach into it. Keep in mind that you can also use hydrogen peroxide or undiluted vinegar for this solution. Now, take your knife block and completely immerse it into the solution for just one minute. It should be enough to sanitize your knife block effectively. If you wish to, you can keep it for a few more minutes, but too much exposure to this will dry out your knife block. Rinse your block off thoroughly under running water. Make sure you rinse off well in between the slots as well. Once you are satisfied that all the bleach is gone, let your knife block dry thoroughly before using again. The first thing you want to do is to remove all your knives and keep them aside safely. Turn over your knife block over the garbage can and shake it out to dislodge any loose debris, dust, dirt, and crumbs and cause them to fall out of the slots in the knife block. You can use a vacuum cleaner or even a hairdryer for this next step. Turn on the blower to the coldest setting and aim it individually inside the slots of the knife block. It will easily cause any other stubborn bits of debris to blow right out. Take a paper towel and moisten it using white vinegar. Take one of the thin knives, or a pipe cleaner, and wrap the paper towel around the instrument. Slowly dip it into each of the slots of the knife block. Move it around slightly so that you get to the corners and sides of each slot. Remove it and use a new paper towel dipped in vinegar to clean the rest of the slots. Finally, clean the outside of the knife block in the same method. Rinse it out thoroughly with soap and water and allow it to dry properly before using it again.